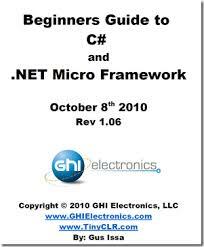 This book offers a step-by-step approach to learning object-oriented programming with C# and the .NET Framework while preparing you for data driven-development. More than 150 easy-to-follow examples are included. The book covers Visual Studio for development and debugging, collections and advanced C# structures, LINQ and traditional database development, as well as file, XML, and JSON handling. By the end of the book, you'll have the foundation you need to begin developing advanced data-driven applications in any C#-based platform.